Prominent & Leading Manufacturer from New Delhi, we offer mobile signal booster, mobile network booster india, tri band mobile signal boosters orwind, tri band mobile signal booster, mobile signal booster gsm repeater orwind and lintratek mobile signal booster. 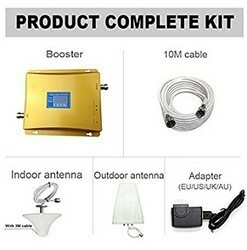 Mobilephone signal booster is a device used for boosting the cell phone reception to the local area by the usage of a reception antenna, a signal amplifier, and an internal rebroadcast antenna. These are similar to the cellular broadcast towers used for broadcasting by the network providers, but are much smaller, usually intended for use in one building. Modern cellular repeater amplifiers can rebroadcast cellular signals inside a building. The systems usually use an external, directional Antenna to collect the best cellular signal, which is then transmitted to an amplifier unit which amplifies the signal, and retransmits it locally, providing significantly improved signal strength. The more advanced models often also allow multiple cell phones to use the same repeater at the same time, so are suitable for commercial as well as home use. Mobile signal booster is the best way to get clear your all type of network in anywhere in your Home/office. Booster can help you to get full range of signal on the spot at your office or home and make easy to get a clear signal at your office or home in all overIndia. As mobile phones became more popular, they began to cost less money, and more people could afford them. Resulted mobile phones has become an important part of our lives and we cannot live without cell phones because now a days it the only medium to connect with our near dears. But most of the time people use to face difficulty in communicating due to low or weak signals, voice breaks, call drops etc. After observing all these problems We Total Mobile Network Solution has come up with a solution named Mobile Signal Booster- an electronic device which can enhance the signals strength quality to provide you the best network in your Home or Office. We offer best quality GSM and 4G Mobile Signal Booster in Delhi/NCR to Our Clients. We assure the best quality Cell Phone Signal booster which is manufactured by using superior quality genuine raw materials or parts. 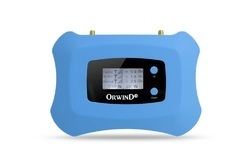 This device can be used by people suffering from No network problem, low or weak signals strength and also to raise the internet connection. Various types of Cell Phone Signal Boosters are 2G Mobile Signal Booster, 3G Mobile Signal Booster, 2G/3G Mobile Signal Booster 4G Signal Booster. We offer a wide range of Mobile Signal Boosters. 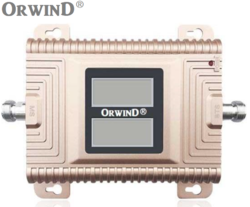 Tri Band Mobile Signal Boosters | Orwind Cloud Boost Tri Band Signal Boosters (also named repeater or booster) is a product designed to solve the mobile phone blind or weak signal. Inside of some tall buildings, the basement of some places such as malls, restaurants, places of entertainment such as call and massage, subway stations and many other places where cell phone signals can not reach and can not use the phone. Cell phone signal amplifier can solve these problems. In a particular place as long as installing a mobile phone repeater, the mobile signal can be well boosted and the mobile phone can be well used. Making you keep in touch with others smoothly in everywhere. What types you are facing the problems? Hanging out of Windows to make a call? Getting cold in the Office car park to make a quick call? Suffering with frustrating dropped calls? Really slow mobile Internet data speed? New contract poor reception and the Mobile network will do nothing to help? In our case more bars more calls.Signal booster provides the well-organized service that’s why after installation of the system the quality of the connection will be really great. Signal Repeater require no additional wires being attached to your cell phone thus allowing you to use your cell phone without any extra troublesome accessories,in other worlds, no physical connection to your cell phone. They are practical,beautiful,easy to install and with competitive price. You will not need to hire anybody to provide the installation of the equipment.You’ll be able to install it by yourself using only the manual list attached to your signal repeater. Tri-band st repeater/booster works at full duplex. It means that they are not only receiving the signal from the base mobile station but they also send the signal to the base mobile station. Our equipment is completely safe. Tri-band st repeater/booster are able to cover different coverage: from small to large. 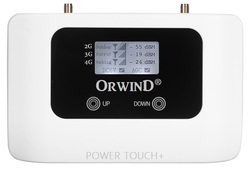 Orwind - Connect Power Sky 2G + 3G + 4G Cellular Signal Booster - Blue Stay connected out on the open road with this Orwind Power Sky+ G-X cell phone signal booster, which is designed to help prevent lost connections and deliver faster download speeds. Multidevice support allows your passengers to enjoy the benefits. 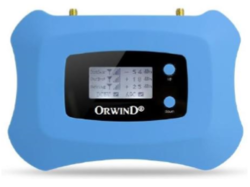 Extend strong, reliable 4G and 4G LTE cellular coverage throughout your home or place of business with this Orwind Connect 2G / 3G / 4G Models signal booster India, which supports most carriers and helps prevent dropped calls and lost connections for multiple devices. 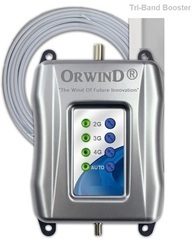 Product FeaturesOrwind Mobile Signal Booster is Compatible with most cellular carriers and devices with 2G/ 3G / 4G LTE connectivityIncluding cell phones, tablets, mobile hotspots and more for wide-ranging use. Enhances cellular signal strength in areas up to 3,800 sq. ft.To help enhance download speeds and prevent dropped calls and lost connections in up to 2 rooms of your home. Supports multiple simultaneous connectionsTo accommodate family members and guests. Simple installationMakes setup quick and easy. LMR 200 coax cables are recommended for use in jumper assemblies in wireless communications systems. LMR 200 specs show that these cables can be used in any application that requires an easily routed, low loss RF cable, such as WLL, GPS, LMR, WLAN, WISP, WiMax, SCADA, and Mobile Antennas. LMR 200 cable is designed for short antenna feeder runs. LMR-200-FR is MSHA-P rated for use in mining applications. LMR 200 coaxial cables are available for any outdoor, outdoor/watertight, indoor-riser (CMR rated cables), indoor/outdoor and mobile antenna applications. See individual LMR 200 specs to learn more. Flexibility & Bending: LMR 200 coax is built with a flexible outer conductor, enabling the tightest bend radius of any cable of similar size and performance. 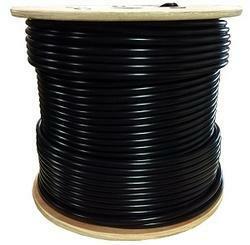 Weatherability: LMR 200 coax cable is suitable for outdoor exposure. LMR 200 cable is also UV resistant and offers a life expectancy of over 20 years.